As a digital marketing expert, you know how important it is to pay attention to the numbers. Numbers are a huge part of your business, metrics, conversions, ROIs, they are your bread and butter. However, when it comes time to file your taxes, you may be better off hiring a professional tax accountant that is focused on digital marketing. Tax accountants deal with a lot of numbers too, but in a different way. They understand the complicated tax code, what you can write off, what rate you have to pay, when you have to pay, deductions, exemptions, and all the little specifics. 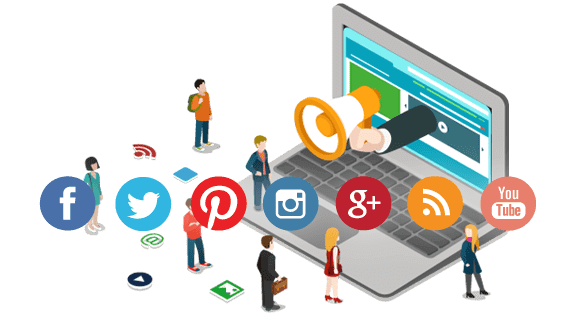 In addition, an accountant that is focused on digital marketing also understands the nature of your business, which makes the whole process of preparing and filing your taxes, and also tax planning a lot easier. Many people automatically associate taxes with accountants. While preparing taxes is part of accounting, there are many different things that accountants do. When hiring an accountant for your digital marketing business, it is important to make sure that they have the right qualifications and skills set that meets the needs of your business. Some accountants prepare taxes, others specialize in financial planning or regulatory compliance. Don’t assume that just because someone is a CPA, that they specialize in tax compliance. Tax compliance is only one aspect of accounting. Make sure to ask, what type of accounting or tax a professional specializes in and also what credentials they possess. Familiarity with vendors – they know the nature of the business and how to categorize your expenses and differentiate between commissions, contract expenses, and subscriptions you pay. Business code – you have to be careful to use the correct business code so that the IRS doesn’t match your spending to sales ratios with those of a traditional marketing company who would have different types of expenses. Audit risk – a digital marketing specific accountant will check to make sure how your expenses are reported to align with those of other similar businesses. This lowers audit risk since it is companies who are the anomalies within their industry who most often get audited. Payroll vs. Contract Expense – since this is a contentious point with the IRS, this should be steadily balanced and be able to be explained with regards to how the industry operates. We, as a firm, usually spend a lot of time explaining the industry to an IRS agent to get them comfortable with the types of expenses. Having a digital-marketing-focused accounting firm allows your tax adviser to be the authority in any IRS engagement. Operating Expenses – Any expense that supports your ability to market, operate, and sell is a qualified operating expense. The key is to categorize correctly. Business Meals – Meetings with clients is a crucial part of growing your business. Fortunately they can be deducted, as long as the meal is directly related to business. Business Travel – Sometimes meetings with clients take you farther away, in these instances some of the expenses qualify as deductions including: mileage, airfare, car rental, and hotel stay. Trainings and educational conferences also qualify as business travel deductions. Software and Online Service Expenses – Digital marketers rely on a lot of software and online services to support project management. Since these programs enable you to better serve your clients, they are tax deductible. Website Expenses – As a digital marketer, you know the importance of having and maintaining a website. Expenses associated with design, domain fees, and hosting fees are all deductible. Marketing Expenses – The expenses you incur trying to market and grow your business are all tax deductible. This includes SEO, PPC, Social Media, and traditional marketing tactics. Which now, you can tell your clients as an added bonus. Tax preparation is only one aspect of working with a tax accountant. Tax accountants can also help issue 1099s. Since a lot of digital marketers hire freelancers, this can be particularly helpful. Failing to file a 1099 can be particularly painful. Fees for late filing of a 1099 start at $100 per 1099 if filed after January 31 and go up to over $1,000 if issued afterwards. A 1099 is a referred to as an information return. 1099s document various income a person might have received from a source other than an employer and show that no tax has been withheld from this income. All income must be reported to the IRS, and this is how the IRS collects income data from non W2 work. 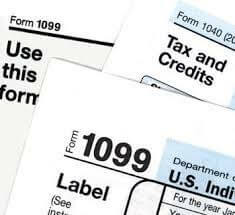 The IRS can disallow any contractor expense if a 1099 is not issued where the contractor was paid $650, so it is important to file by the January 31 deadline when that threshold is met. As an interesting side note, the 1099 threshold was set in 1954 and has not been adjusted for inflation since. The most popular entity structure for digital marketers is an S-Corporation. Often clients elect for an LLC to be treated as an S-Corporation by the IRS. This allows for favorable tax treatment on profits. However, a common mistake that S-Corporation owners make is that they fail to file employment returns which report on wages and payroll taxes paid. This is a critical filing for S-Corporations since S-Corporations are required to pay a salary (run through payroll) to the owners. Failing to file payroll filings (Form 940 and Form 941) will expose your S-Corporations to audit risk. Quarterly income tax payments which include estimated taxes and social security payments. Self employed tax payments which are FICA payments if you are an LLC or Sole Proprietorship. When you are self employed you are responsible for both your share and the share your employer would have paid. There are penalties at the end of the year if your tax return shows that no taxes were paid. In addition, working with a tax accountant can help you plan and save tax efficiently. Saving is an important part of tax planning. It is important to have enough saved to meet quarterly and end of year tax obligations. We’ve seen investors pass on companies with tax bills as small as $7,000 since for a lot of these entities, the owners are liable for the company’s tax (S-Corporations, LLC’s, and Partnerships). A tax accountant can help you estimate the amount of money you need to set aside for your tax payments and what options you have to limit your tax exposure. For example, contributing to a Solo 401(K) can be done if it’s done before year end and it’s a great way to pay your retirement instead of Uncle Sam. Saving as you go, is a good way to prevent any surprises. Even if you overestimate, it is better than not having the funds available when payment is due. The tax code can be very confusing for many. Working with a tax accountant that is focused on digital marketing can help you better understand the tax process, and give you peace of mind that everything will be done correctly. To learn more or to schedule your free strategy session, contact Tax Hack today!